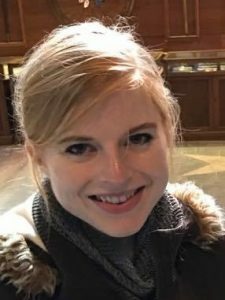 Christine Leibbrand is a graduate student in the Department of Sociology and has concentrations in Demographic Methods from the University of Washington’s Center for Studies in Demography and Ecology and in Social Statistics from the Center for Statistics and the Social Sciences. Her research focuses on internal migration and residential mobility within the United States and the relationship between migration, mobility, and individual and familial socioeconomic and neighborhood outcomes. She is also interested in how migration and mobility influence racial and gender disparities in socioeconomic and neighborhood outcomes. Christine has collaborated on research using longitudinally-linked Census data to explore the socioeconomic, neighborhood, and return migration outcomes of second generation Great Migration migrants. Christine has also collaborated on research using the Fragile Families and Child Wellbeing Study to examine the association between paternal incarceration and child neighborhood outcomes and on research utilizing the Panel Study of Income Dynamics to study the relationship between mobility, segregation, and residential attainment among black and white women and men. Her dissertation examines the ways in which the returns to inter-county and inter-state U.S. migration are shaped by race and gender and the extent to which those returns have changed over time.